You know the kind: you’re online happily browsing the special offers on your favorite products at www.dontpayfull.com, and your tot is pestering you for a bar of chocolate. Before you’ve had the chance to finish telling him that it’s too close to dinner and he will have to wait until later – there is a massive eruption of volcanic proportions! He hurls himself to the floor, arms and legs flailing, screaming at high pitch that he wants it ‘nooooow!’ What’s a mom to do? Choose a quiet place in your home that is free from any distractions, like the bottom of the stairs, and calmly lift your child and place him in this spot. Do not shout or scream, however tempting it is to join in – just calmly explain that he needs to take time out to calm down. 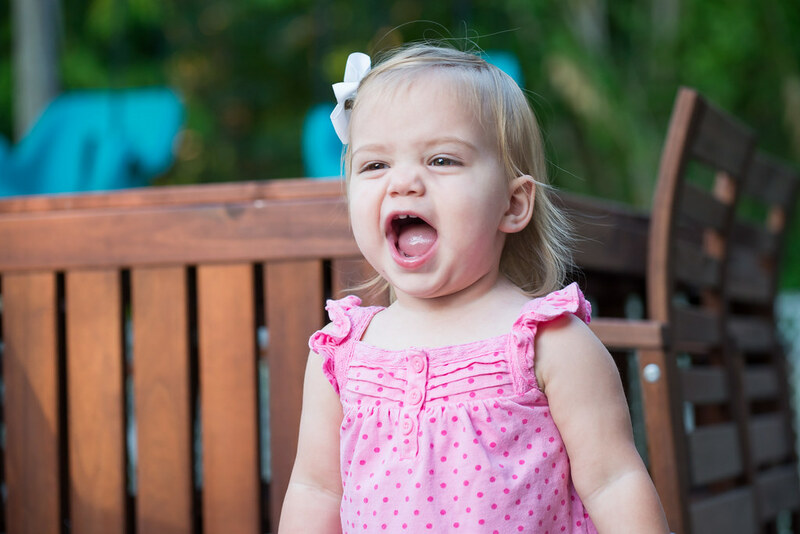 Even if your little one continues to scream, do not react, and walk calmly away. Stay within a short distance so that he has the reassurance of knowing that you are still there, but do not engage with him until the storm has passed. Children often throw tantrums because they are rewarded with attention: by taking that away, you are helping them to learn that there is no point in this behavior. Very young children often become fussy eaters for apparently no reason. They decide that they’ll only eat chips or foods that are red or refuse point blank to eat any kind of vegetable when they had no problems eating them before. It’s easy to get annoyed and frustrated, but your little son or daughter is just trying to take control and assert independence. Punishing or getting angry will just inflame the situation, and make your tot even more determined to stick with his choice. Re-introduce ‘forbidden’ foods very gradually in very small doses to help your child to feel that you respect their choices. If they won’t eat broccoli, tell your son or daughter that if they have one tiny bit, they will get a reward. You can make your own reward chart to make this easy. The more times they have a tiny bit of a food that they ‘hate’, the more their taste buds will adjust to the flavor – eventually, they will enjoy these foods without even thinking about it. Dealing with kids having tantrums and becoming fussy eaters is not for the faint-hearted: so it’s just as well that moms are so strong and determined! With patience and a consistent approach, these are two battles that you will win hands down! Find out more about dealing with young children on this page.